FlightView is the recognized provider of the most accurate, real-time flight information solutions for the aviation and travel industries. 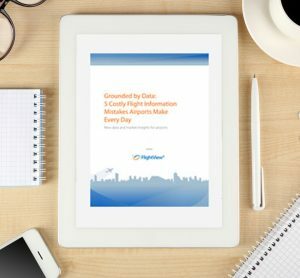 FlightView’s Dispatch and FVXML products help aviation and travel professionals achieve superior customer service with actionable real-time information. FlightView’s information displays can be seen at airport terminals and on the Web sites of the largest major airports, airline and travel companies. FlightView’s software services and solutions are relied upon by the US government, the world’s largest airlines, airports, aviation and travel professionals, ground transportation companies and news outlets. Founded in 1981, and headquartered in Boston, Massachusetts, FlightView has more than 20 years of experience in building and supporting mission critical systems for the FAA and the Volpe Center.